Lenovo has stopped producing the 3000 Y410 laptop computer system. If you are looking for a currently available laptop of a similar size, check out our list of Best 14 to 16-inch Laptops. It may be possible to still find this system available in the second-hand markets and this review is here for reference. Apr 12 2008 - The Lenovo 3000 Y410 is a bit smaller than the average 15.4-inch budget laptop thanks to its 14.1-inch screen but it doesn't really sacrifice on features. The specs are about what you would expect from this price range with a few extra gimmicky items. Some work well like the scrolling media control but others like the face recognition really needs a bit more work to be functional. 13.4" x 10" x 1.5" @ 5.2 lbs. Apr 12 2008 - The Lenovo 3000 Y410 is often compared directly to the ThinkPad R61 lineup. In general, the Y410 offers a bit more in terms of features and performance than the ThinkPad R61, but it also has a couple more drawbacks as well. One way to distinguish the system is to make it more consumer oriented. This includes the addition of new controls and features not found in the ThinkPads. One example that they do well is the media controls called the Shuttle Control. Essentially it is a slide touch sensor control that allows easy adjustment of volume, equalizer, etc. This key can also be used as a scroll key for functions like your web browser. Lenovo's keyboards are still some of the best in the market. Not all these features are a hit, though. Take the face recognition software used with the webcam. It is a very interesting security feature that can't be found on other laptops. In real-world use, it is a bit spotty for functioning properly that limits its ability to a more traditional item like a fingerprint scanner. Performance from the system is quite good. 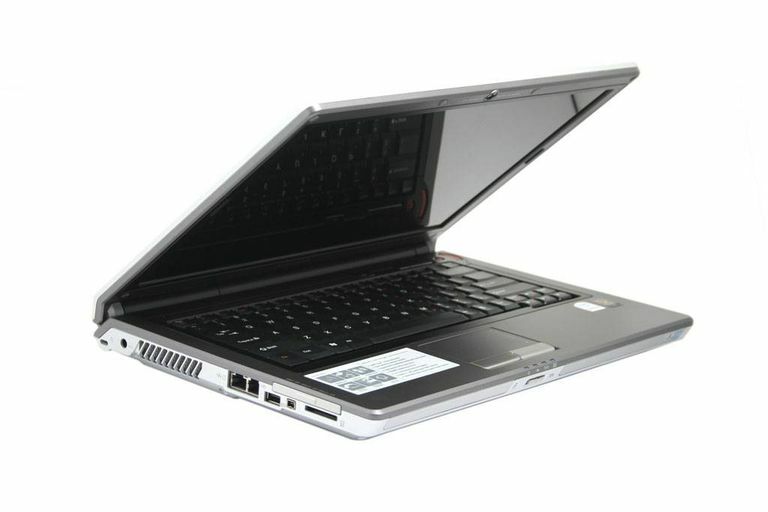 The features are similar to what can be found in many other budget laptops. A Pentium Dual-Core processor, 2GB of DDR3 memory, 160GB hard drive and dual layer DVD burner are pretty much standard. The screen is a bit smaller at 14.1-inches but this makes it lighter and more portable. One final note for those looking at the Lenovo 3000 Y410 system is the software. The system comes with a fair amount of trialware rather than full applications. This impacts system performance and leaves users potentially buying extra software to get functionality provided from other companies budget notebooks.